Tapping different parts of your body is central to Emotional Freedom Technique, an increasingly popular energy therapy. 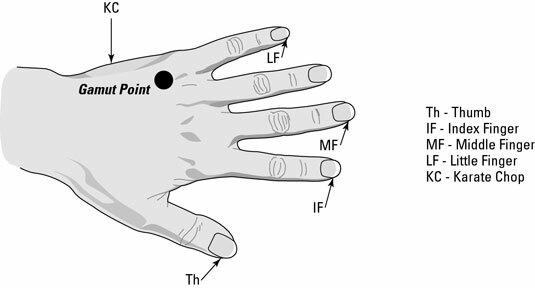 This figure illustrates the tapping points on the finger and gamut – the crease on the back of your hand between your little finger and ring finger. Note that all the finger points are on the outside edge of the finger where the nail meets the skin.